but the wild will keep calling and calling forever in your ears. You cannot escape the "little voices". Frank Wild - Antarctic Explorer from the "Heroic Age"
A first trip to either polar region will be unlike most other trips you have ever taken, you can look forwards to long days, up to 24 hours daylight, wilderness, wide open skies and a feeling of freedom you may have never experienced. Whether on foot or on board a ship you will look out onto a timeless landscape that is the same as it was 100, 1,000 or 100,000 thousand years ago almost untouched by the hand of man. The graphs indicate the months during which travel is possible in the polar regions, and the relative amount of visits that take place in those months. Cruises are limited by seasonal sea-ice, all polar travel is limited by winter darkness, temperature and weather. Travel is possible outside these months though daylight is short or absent and temperatures are very low. 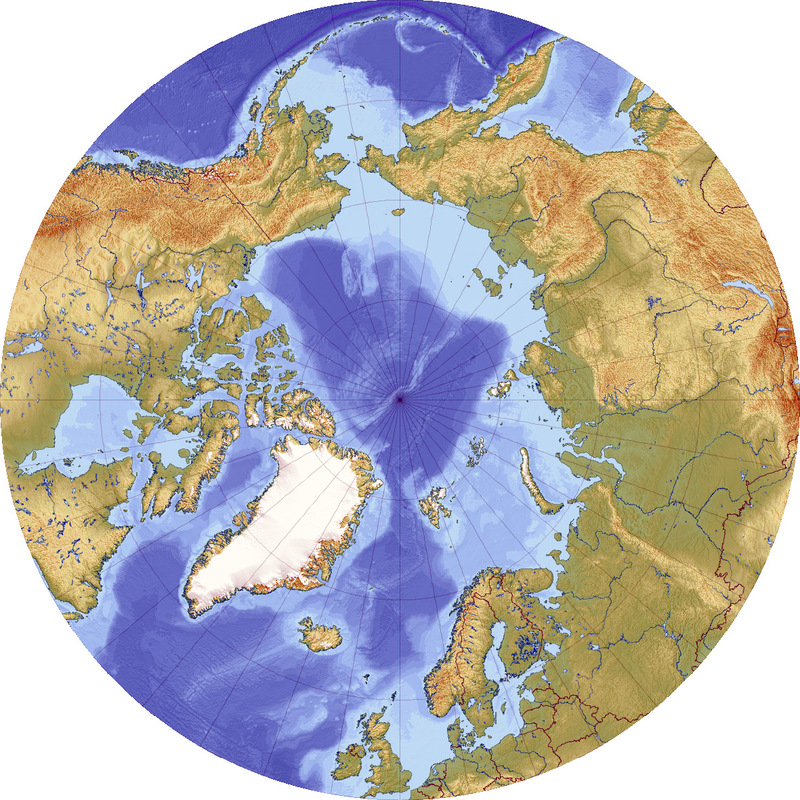 Major hubs are Reykjavik, Iceland, Oslo, Norway, Copenhagen, Denmark, Ottawa and Edmonton, Canada, Nome, Juneau, Sitka and Ketchikan, Alaska, Petropavlovsk and Anadyr, Russia. Temperatures more variable by destination than the Antarctic, typically expect 20F to 50F / -6C to +10C for most areas, month and location make this quite variable. Typically Arctic trips take place closer to the pole than Antarctic trips, the Arctic Circle is easier to reach and seeing the midnight sun is certainly possible in midsummer. Many High Arctic areas have 3-4 months of continuous daylight, on a trip in high summer, you may be in constant daylight. It will be windy, dress accordingly. If you are cruising in the Arctic, you will almost certainly fly to join your ship in the Arctic and fly home again, rather than travel there or back by ship. You are less likely to meet rough seas in the Arctic than the Antarctic, fjords, channels and a lack of long open sea sailing mean that sea passages are usually smoother. Polar Bears - you need to go to the Arctic to see polar bears, you won't see them anywhere else. As the Arctic has been home to humans for thousands of years and as there is a continuing culture of hunting, the wildlife is often quite wary of people. It tends to be more spread out than in the Antarctic and less approachable. There is also the fact that polar bears could see you as dinner or at least a light snack, so keeping something of a distance is not necessarily a bad thing. 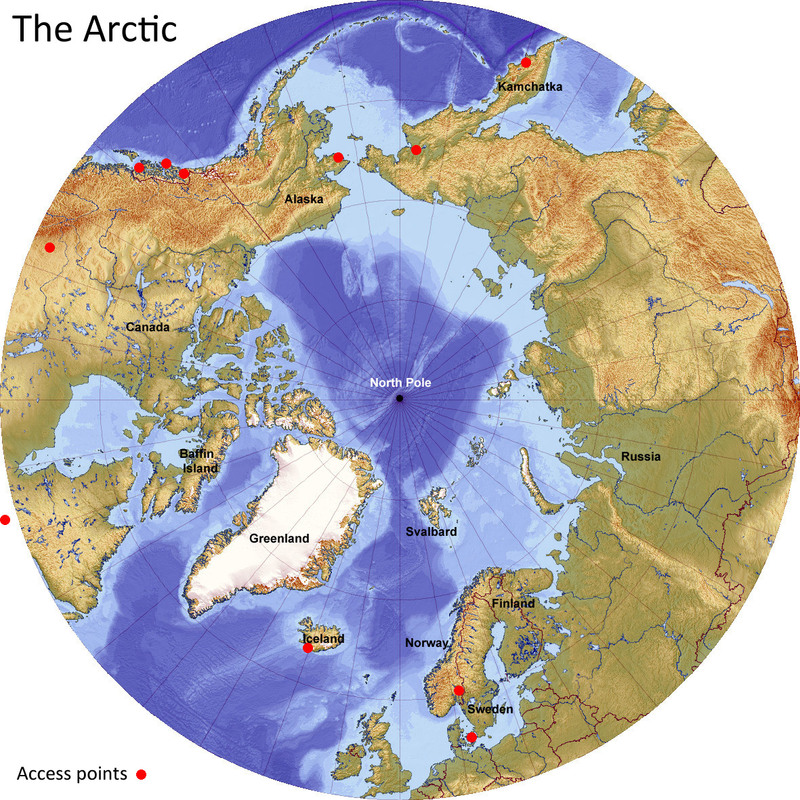 The Arctic has a permanent population of about 4 million, there are a whole host of native peoples who between them are circumpolar. All of these native peoples have a long and rich history of living on and with the land, whether Sami reindeer herders to those groups who build igloos as a traditional hunting shelter and many groups between. This human population and history is arguably the biggest difference between the poles. No tourist access outside of these months due to sea-ice closing off all shipping and flights, daylight is short or absent and temperatures very low. Tip of South America, ships leave from Ushuaia, Argentina or Punta Arenas, Chile, flights from Punta Arenas, Chile. Australia and New Zealand, ports most commonly used are, Invercargill / Port of Bluff and Lyttleton / Christchurch, New Zealand and Hobart, Australia. Often cruises leave from one port and return to another. No flights. December to February 20F to 50F / -6C to +10C. Most Antarctic trips do not cross the Antarctic Circle, so don't necessarily expect the midnight sun, though 20+ hours of daylight are likely. To reach the Antarctic Peninsula you have to cross the Drake Passage, this is a 2 hour flight or a 2 day sail. Flying is very reliable but aircraft could be grounded due to weather conditions. The Drake Passage can be very rough, though conditions can vary widely. In the Eastern Antarctic, you will have an open sea crossing of 6 to 7 days from New Zealand or Australia, you are more likely to encounter rough seas there. 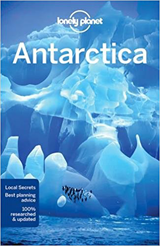 Penguins - you need to go to Antarctica to see penguins, some species also live other places like parts of Australia, South Africa and the Galapagos, but for variety of species and authentic icy backdrop, there is no match. Antarctic wildlife is more plentiful than Arctic and generally shows little or no fear of humans, neither will any of it try to eat you. You will be able to see the wildlife at closer quarters in the Antarctic. 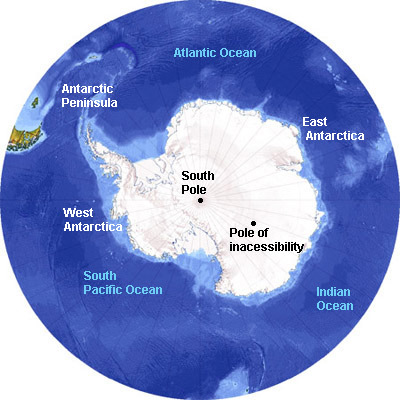 There are not and have never been any native Antarcticans, no one even saw Antarctica until 1820 and the first year-round habitation was in 1898. There are no cities, towns or villages, the only human presence is on nationally run scientific stations with a total, continent wide summer population of up to around 5,000 and winter of 1,000. A cruise to Antarctica may well visit one of these stations which certainly delivers a dose of a kind of culture, though not as it is understood across much of the rest of the world. Most trips trips to the polar regions are as part of a relatively small group of like minded individuals who are seeking an experience that is overwhelmingly an outdoors one. A cruise here allows you to have the best of both worlds, a world class within-nature experience and the creature comforts of a hotel on the move from place to place every day. If the traditional idea of cruises doesn't appeal to you, these are as far from that as you can get. If you do like the idea of a traditional cruise on a very large ship however, the wilderness experience is still available for you to some degree as there are larger cruise ships that sail in the waters around Alaska and some that spend a part of their voyage in Antarctica. 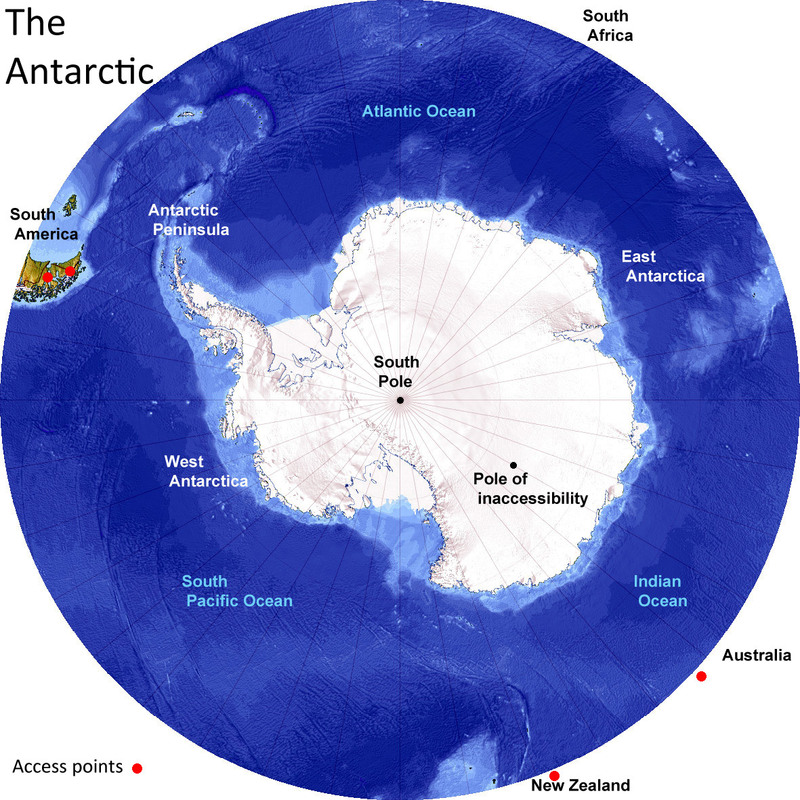 Landings from ships carrying over 500 passengers are not allowed in Antarctica. Independent Travel - this is possible in the Arctic but not in Antarctica where you must go as part of a package. Neither are budget destinations, though it is possible to arrange transport to an Arctic destination and camp wild or semi-wild, you may need to take appropriate precautions about polar bears depending on where you are. Svalbard and Canada have the greatest chance of contact with bears while camping while most of Greenland is pretty safe in the summer. Cheaper last-minute trips on cruises to Antarctica can be had at Punta Arenas or Ushuaia though are hit and miss as to availability, last minute flights to reach the cruise ports are of course much more expensive. Health Requirements - No specific requirements though you will be away from civilization for several days and getting in an out of small boats that bounce across the sea isn't for the infirm. Cruises usually insist on emergency rescue cover which can be readily arranged and is not as expensive as it sounds. At both poles, weather and ice often set the schedule for journeys, particularly if cruising. Any itinerary is best seen as more of a wish-list. Tell me more about a trip to the Polar Regions!